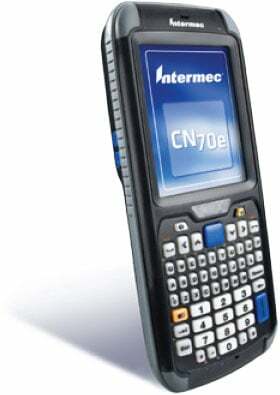 Intermec CN70e - High Performance 2D Imager, QWERTY Keypad, Camera, North American UMTS Communication, Windows Embedded Handheld, WWE, Smart Systems. Interface cables and charging cradle sold separately. USB Cable for single dock (Part# 236-209-001). Single slot charging cradle kit (Part# DX1A01A10). Quad dock charging cradle kit (Part# DX4A2111110). The Intermec CN70EQ6KDU2W2100 is also known as Intermec Technologies	INT-CN70EQ6KDU2W2100	.